This transitional sectional presents accommodating seating for your living space. Featuring a key rolled arm design with pillow top seating, this sectional showcases double needle stitching along with prominent wood legs. Perfect for your modern home, this piece can seat up to five with extended comfort and support. 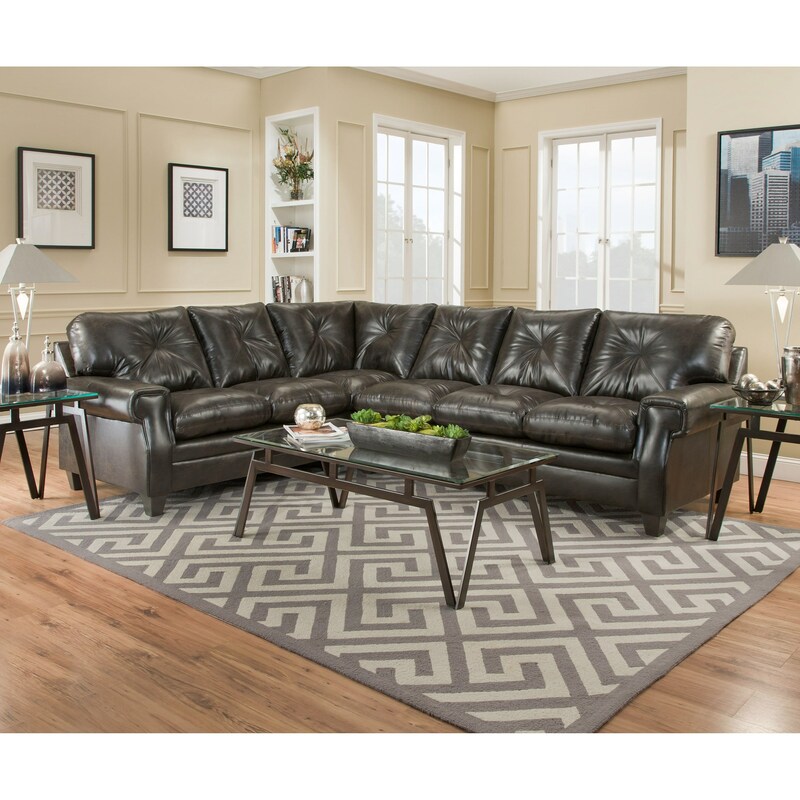 The Lucky Marble Transitional 5 Seat L-Shaped Sectional by Simmons Upholstery at Royal Furniture in the Memphis, Nashville, Jackson, Birmingham area. Product availability may vary. Contact us for the most current availability on this product.